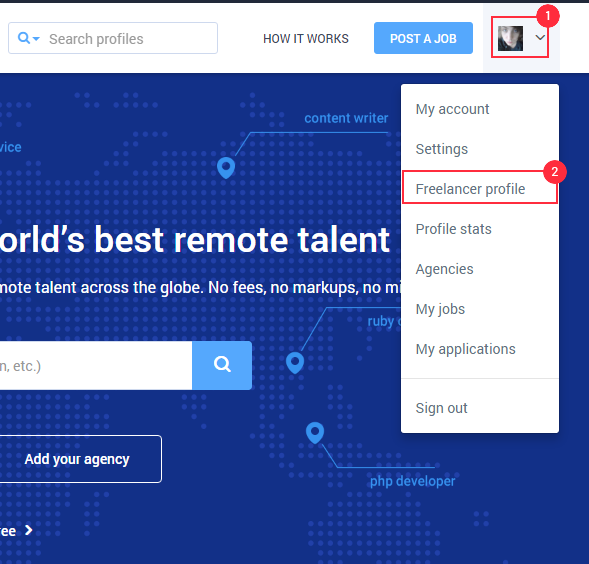 To change your profile picture, just click on your avatar picture (this will display a dropdown menu) then click “Freelancer profile”. 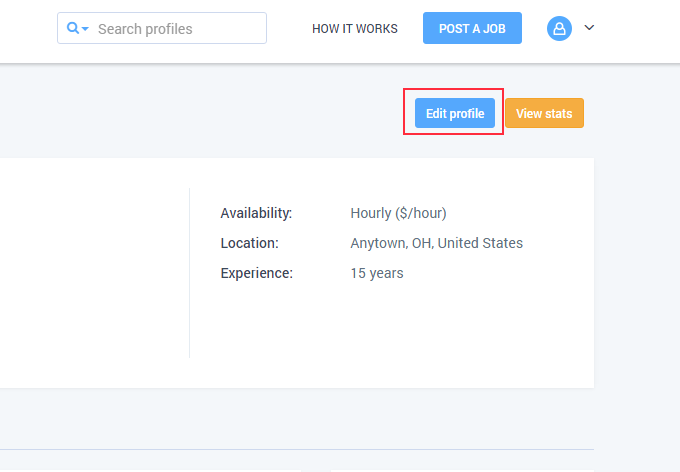 Next you’ll want to click on the “Edit profile” button. You’ll be taken to your profile edit page. Click the “Change picture” button on the left. Then scroll towards the end of the page and click the “Save” button to store your changes.